Do you love eating and smelling bread right out of the oven? Try this Crusty French Bread, mixed up in a bread machine for the best texture and baked in the oven for the best crust. No bread machine? No worries. See alternate directions in the recipe notes. Have you ever given somebody a recipe and then, when they turn around and make it for you, you don’t even recognize it? That’s what happened with this Crusty French Bread. I gave the recipe to my daughter-in-law, Amanda. Later, she baked it and served it to our family. I asked HER for the recipe thinking it was better than mine. How did that happen? Now she is famous in our family for this French bread. This bread has a soft, compact crumb with a crispy crust when first removed from the oven. It is NOT a chewy kind of artisan bread with big holes in it. Nope! Nothing too sophisticated. Just a fresher than fresh loaf of bread. Slice it for eating out of hand, smear garlic butter on it to accompany pasta, or make sandwiches with it (see below). Worried about shaping your loaf? Follow me. Start at the left top picture. 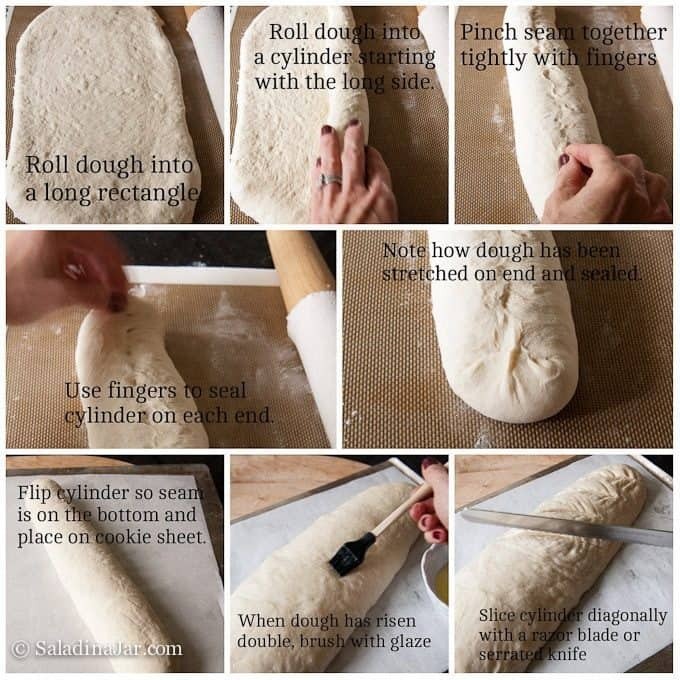 If you aren’t happy with the shape on the first try, roll the dough in a ball and start over. Nobody will ever know. Amanda recently made this bread for my mom’s birthday party. We used it to make sandwiches for beef au jus after my other daughter-in-law, Susie, introduced me to McCormick’s Au Jus Gravy mix. It’s a touch salty, but I forgive. Place the browned beef roast in a crock pot, pour seasoning mixed with water (according to the package) over the meat and cook it on high for 5 hours or low for 8-9 hours. The result will be perfectly seasoned broth and fork-tender shreds of beef that beg for fresh Crusty French Bread to go with it. When dough cycle is complete, turn dough out onto lightly floured board. 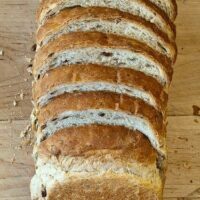 Roll into oval shape slightly longer than you want your final loaf to be. Starting from long side, roll into a cylinder shape. Pinch seam together. Turn over so seam is hidden. Pinch ends together and turn under making a small rounded shape on each end. Carefully place formed loaf onto a greased baking sheet or one covered with a silicone baking sheet. Cover with a tea towel and allow to rise in warm place until almost double. Preheat oven to 425 degrees. Make glaze (1 egg white and 1 teaspoon water whisked together) and brush over loaf. Using a sharp knife, (I use a serrated knife) or a single edge razor blade, cut diagonal slashes about 2 inches apart and 1/2 inch deep across the top of loaf. Bake loaf for 20 minutes. Reduce heat to 350 degrees and bake another 5-10 minutes until golden brown. Remove to cooling rack or slice and eat immediately. I’ve also made these the same day (Monday) I made the crusty rolls!!! Best french bread ever. Family so excited to see 2 loaves of them again this morning for their breakfast ??? Im confused .. Where are the instructions for the glaze?? The glaze instructions apparently got dropped in a recent upgrade. I have fixed the recipe. The glaze is 1 egg white whisked together with 1 teaspoon of water. Hope the bread turns out great for you. Glykeria, So sorry. It appears the glaze recipe dropped off when I changed recipe cards. I fixed it now. Glaze = 1 egg white and 1 teaspoon water whisked together. Brush lightly on loaf before putting it in the oven. Thanks so much for letting me know. 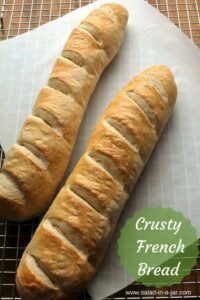 This is my go-to recipe for everyday french bread. Easy, fast, foolproof, it comes out right every time. Easy, fast and foolproof. I couldn’t agree more! Made this for the first time today. Turned out great, except the crust wasn’t…well, “crusty”! I grew up with French bread having a VERY crisp crust (NZ), and cannot find that were I now live (WV). However, this recipe did yield some very scrummy bread, on which I am going to put my home-made chicken liver pate! So glad you wrote. I’m glad you liked the bread but sorry you were disappointed with the crust. Wanted to let you know you did nothing wrong. That bread is most crusty when you first bake it. If you want a very crisp crust on your bread, you will have better luck to use a recipe with a “sponge” involved. A sponge is a water/flour/yeast mixture that percolates for several hours before you actually mix up the bread. They will take a bit longer to make. I have some on my blog here, here, and this one for crusty rolls which only requires a special glaze. Just wondering, Can I double this recipe, in my bread machine, 2 make 2 loafs? No, I would not recommend making a double batch in your machine. The dough will not be kneaded properly nor will there be enough room for the dough to rise until double. I bought a used bread machine in addition to my favorite machine so I could make two batches at the same time. OR, Make one batch. As soon as the dough finishes mixing and kneading, remove the dough to another bowl to finish proofing and start another batch in your machine. I have made this a few times now and am IN LOVE! I’ve tried to make it whole wheat, and it’s possible, but not nearly as good! I think this is a recipe that simply needs to be left alone. It’s AWESOME exactly as it is. This will be a repeat in my house for sure. Awesome for cold Canadian evenings and a hot bowl of soup. Can’t wait to try more recipes from your blog! This bread is awesome! I made it a few days ago, and I’m making it again today. My wife and daughters love it! Thank you for sharing this great recipe. I’m sure it will be a family favourite of ours too. Oh this is wonderful! My bagget wasn’t pretty but soo good! Thank you. Will definitely be saving and doing this again! I am so making this bread today. I have had a very nice bread machine for 3 years and it sat on the pantry floor. I, like a lot of you, have never really liked the bread out of the oven. My daughter gave me the link to your site and I made the Favorite Dinner Rolls. I have now made that recipe about 4 times in the last month. My daughter insisted that I mail her a batch of them for her Christmas dinner. They were a hit. My bread machine now sits on my counter like a proud peacock. I have stocked my pantry with all the ingredients to make any bread product that I wish. I have decided that I am not going to be buying store bought bread for everyday use at all this year. There is no work to making bread this way, and if I hit a day when I really don’t have the time to bake the dough off in my oven, I can always choose to just let the machine take care of it. 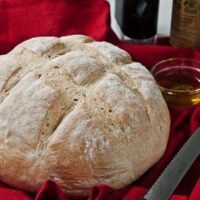 I love this website/blog, love these recipes and am now a convert to bread making. 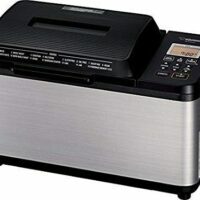 The post by “Best Bread Machine” (dated OCT 4 2011) has a blog link that goes to a Chinese spammer. You should remove it from your site, please. Of course you can bake this in a bread machine but it will be different and not look much like French Bread. As long as you don’t have the wrong expectations, it should work out ok. Honestly, the first couple times may take longer but you will get really fast with a little experience, and I think you will find it totally worth it. I made this and it is ssoo good! Thank you so much for creating this website. 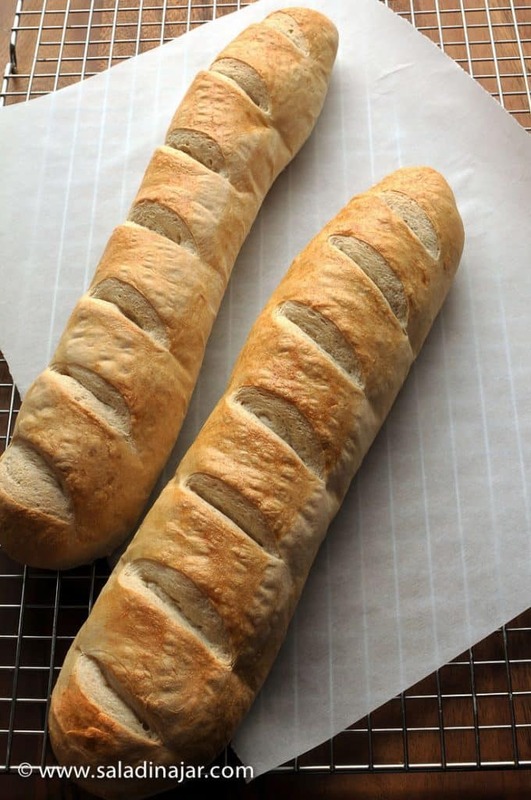 I had already prepared my French bread dough in my bread machine, and I wanted to bake it in the oven, thanks for the great tips on how to make it look much more presentable than it would’ve been if I baked it in the machine, It turned out beautiful, Thanks so much from SLC, Utah, Dale Brackett. Hi! Just wanted to drop by and say that as a novice bread maker, I have yet to fail at one of your recipes! Thank you so much! Thanks for writing April. You made my day! Happy bread-making. This bread is absolutely wonderful! I made it to go with Sweet Potato and Carrot soup. We had some left over and made french toast with in the morning, soooo good! Family is coming down and my mom had me make two more loaves so she could have french toast in the morning with our family. Just one question, what do I need to do to keep the bread from glueing itself to the pan? My first loaf took a lot of convincing to get it off the pan. The glaze utterly glued it to the pan. The second time I tried to oil the pan, hoping that would keep it from sticking, but it still stuck, but not nearly as bad. The oil also smoked and there went the fire alarm! 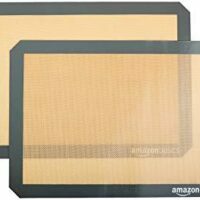 Should I try parchment paper, silpat, or something else? Thanks, this bread is awesome! Thanks to you and this recipe, I haven’t bought bread in two years. 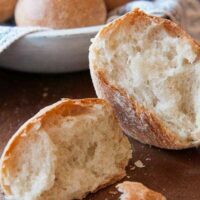 This french bread is our everyday bread and it is so good! I have had great results with adding a 1/4 cup or so of wheat bran or a few tablespoons of flaxmeal to up the fiber. I had such trouble making really good homemade bread, it was always tough and dry, but thanks to your wonderful tutorials, I am now a champion bread baker! I have tried many of your recipes and they have all been a success. 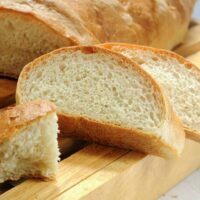 Wonderful recipe- delicious bread. Thanks for posting. This was my first foray into French bread, and it worked beautifully. I actually managed to make it while carving a neck for a bass guitar. 😉 Simple and attractive, not to mention delicious! How long do you let it rise after rolling it out (step 2 instructions) What did yu use for glaze? Let it rise until double. How long it takes depends on the temperature in the room or place you are letting it rise. Normally takes around 30-45 minutes. The glaze is water and egg whites. Amounts and directions are listed in the recipe. came out PERFECT the first time! Great directions! My whole family ate th entire loaf while it was still warm. Bread looks fantastic. 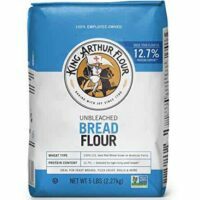 One question, is it necessary to use bread floue or could it all be unbleached flour. Gonna make this morning …can’t wait for waking family’s reaction…thanks sooo much for sharing! Wonderful recipe and instructions. I would never have shaped it properly had you not included those instructions. Thanks so much! By the way, my (ahem, your) French Bread was a HUGE hit with my family the other night (at my in-laws no less, so score! !, lol). It came out beautifully and was so yummy!! My only question is that it did taste slightly of yeast (kinda like a yeast roll after taste, which was not bad by any means), but just wondering if that is normal? I am also a really BIG fan of yours! I found your blog a few months ago while I was searching salad-in-a-jar… long story short, I have since bought a used bread machine about a month ago (to see if I really liked it before spending the big bucks, lol… which I do! But still haven’t had to upgrade just yet). I have been coming back here pretty regularly to try new things. I have tried your pizza dough, and it is now a Family FAVORITE! 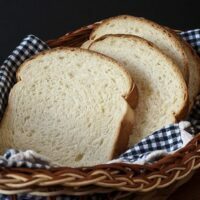 That was the first recipe I tried by using the bread machine only for the dough cycle (scary for me as a newbie)… I have had terrible experiences in the past with trying to make my own breads by hand (before the bread machine) and waiting for it to rise, etc. So, it always makes me a little nervous to do a recipe which requires it to cook outside the machine. However, recipes like French Bread, and pizza cannot be made in there, so I come look up your recipes, and get inspired every time I do! Thanks a bunch! Love your videos too!! Anyway, Thanks again soooo much for your tasty recipes and fun anecdotes!! I was coming here to get the recipe for French Bread to make for my family today (Thanksgiving), 🙂 and I saw your updated pics… and I thought, “Awesomeness!! !” Thanks for updating the post and adding the pics, they really do help! I leave the dough in the bread machine to rise the first time. The first rise is part of the “Dough” cycle. That being said, if I’m cooking for a crowd, I will remove the dough at the end of mixing and start all over with a second batch. Then first batch of dough goes into a bowl to rise in a warm place before it’s ready to form. Hope I haven’t confused you. Write back if you still have a question. Thank you for sharing this recipe. Since we are employed in KSA French bread isn’t easy to come by. Ever since my husband got me the Bread Maker I have been trying your recipe. They are great. I made this tonight, first time I have EVER attempted bread and it was fantastic. So easy and so good. Thank you! I realize this posting was from 2 years ago, but I wanted to stop by and tell you I just found it. I made this bread today and it was wonderful! It looked amazing. It smelled amazing. And it tasted even better. I wont be buying french bread at the store ever again! I just made this and it was GREAT! Love your white bread, too. 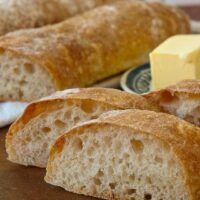 You are my go to blog for my bread needs! Thank you so much for doing all of your posts. I would have given up on bread making with out you! Your comment is so encouraging. I love bread and love making it. 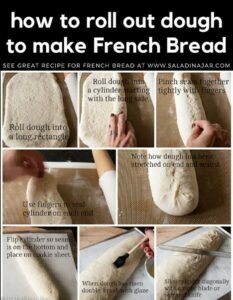 The French bread is so easy, why not? Horrible idea to look at recipes at 1am when you want to go to bed of course I’m hungry now. I want to try to make this 1 day,once I perfect the art of making Campbell’s soup I will get on this. I have enough trouble with pancakes,bacon&eggs but I swear I’m going to try to learn how to cook I mean I’ll be 30 soon enough I should know how to cook something. Start cooking and keep trying new things and you’ll be a super good cook in no time. So glad to hear you are enjoying the bread. Excellent recipe! I mixed the dough in my bread maker & it easily made two loaves. It’s delicious & we’re having it with spinach artichoke dip right now!! Yummy! I’ve made this breads 3 times already within the past 30 days and that i can’t get enough! 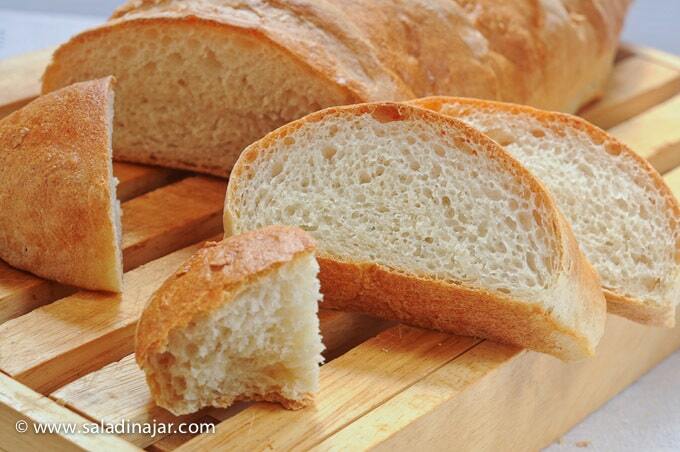 Many thanks so much for sharing your formula,best bread maker! Looks like a great recipe…I’m always looking for ways to get the crust right! Wow very nice, I tried it, I dont think the yeast likes me too much, but it could be that I made it into two loaves instead of one. It tasted great thou!! I make a lot of bread at home and it never ever ends up looking like that. I’ll give the recipe a shot and pray for the best. I’ll dig out the bread machine for this! 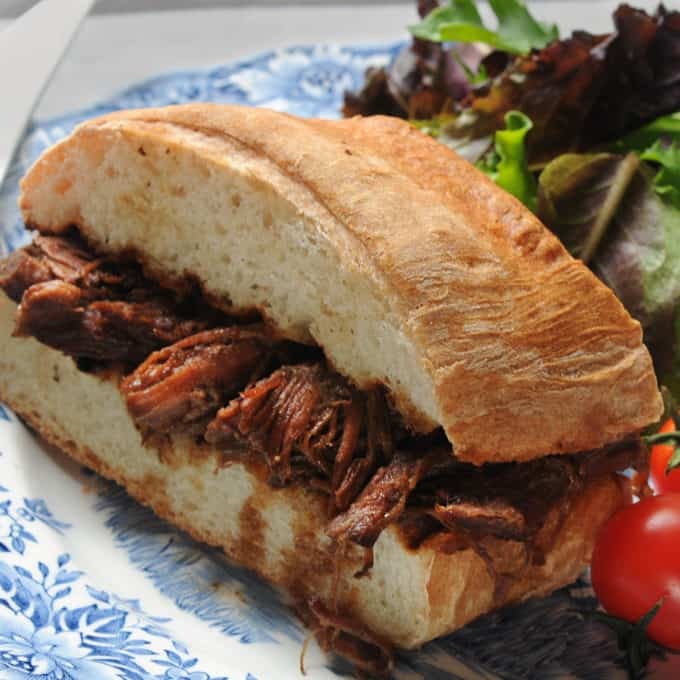 It looks so good in that sandwich- yum! 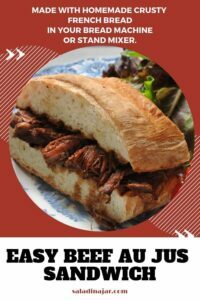 i’m just now about to make this recipe for the 1st time (with beef au jus for dinner, of course! )…..is there any way to add a pic or two of the second step? it’s hard for me to follow words & i’m not sure exactly what you are talking about. does the recipe really only call for 1.5 tsp of shortening? that really surprised me. is that correct? guess i’m about to find out. I’ve made this bread three times already within the past month and I can’t get enough of it! Thanks so much for sharing your recipe! I also love bread. btw this really looks perfect! I love bread, Paula and this looks perfect! Aren’t bread machines so convenient. Looking forward to trying this recipe. I want to make your Greek Yogurt too. I have to pick up a strainer though. Years ago I made regular yogurt frequently for my children just using a yogurt maker. This sounds infinitely better! I think I am finally embracing bread making. I made two loaves of the same bread in two days. Yeast still doesn’t really like me too much but i won’t complain because it was deeelish. I’m thinking of trying this! That bread looks terrific. I wish I made bread more often — there’s nothing better than when it’s homemade! Yum i love good crusty bread! The texture looks delicious! Wow!! Looks great! All the ingredients are really easy to produce. I really love bred making.! i agree, the au jus is definitely not for those on a low sodium diet. but is it tasty! Popped in from Pam’s to say hi! Oh, my husband loves beef au jus and crusty bread. He’ll be so pleased! Ooh, what wonderful loaves! The sandwich is making my mouth water. This looks like a perfect bread for french dip sandwiches. This sounds like a great recipe. We love fresh French bread. I may try it this weekend. It looks PERFECT! There is nothing better than fresh baked bread. I fear the yeast, but it looks like your loaves turned out beautifully! Perfect for that delicious-looking sandwich! Looks good! I’ll have to try this. I haven’t been happy with any French bread from my bread machine. Great pictures too, as always!